Blog Posts tagged "Community Benefits"
At first glance, the headline above may seem puzzling. What do hospitals have to do with climate change? Let me explain. California’s Central Valley contains six of the 10 most polluted cities, according the American Lung Association. Sadly, Orlando (pictured above) is just one of the many residents of the Valley who suffers from asthma that is largely caused or worsened by the poor air quality. Orlando uses a nebulizer, a device that administers medication in the form of a mist, to treat his asthma during school recesses. In the Fresno Unified School District, almost one in five students have asthma. In response to this epidemic, Kaiser Permanente donated $20,000 to help the school district buy more nebulizer tubes to treat students. We applaud Kaiser’s leadership on this, but it’s only a start. 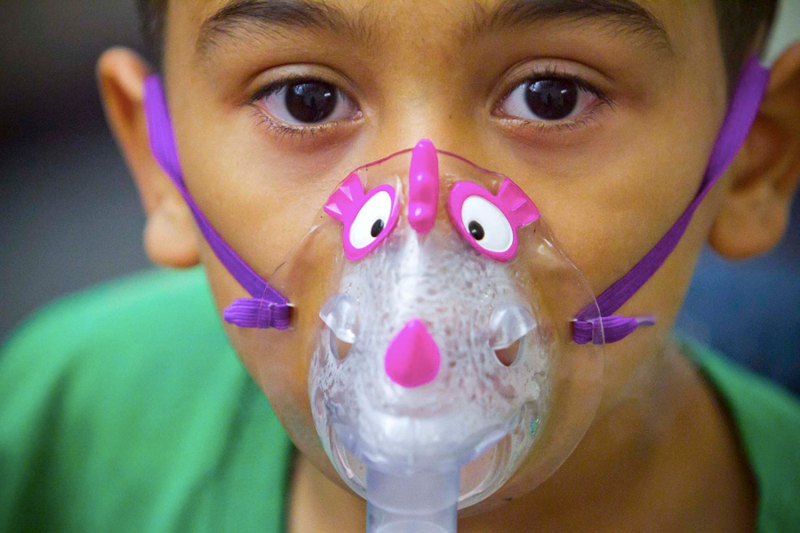 More not-for-profit hospitals need to act similarly, and most importantly, they need to go beyond short-term assistance and target the root causes of poor air quality in the Central Valley, from car emissions to fuel industry polluters. If Orlando had clean air to breathe, he wouldn’t need that nebulizer so often.